The SafeSwiss® Private Messaging App has the most features and strongest encryption - giving you the power of complete privacy. Protect yourself from hacking, tapping or observation: the App encrypts private messages, secret text chat/SMS, voice calls and video messages, file and data transfers on the sender and receiver’s devices - leaving no trace anywhere. Messages can also be set to self destruct after being read. Privacy: looking for the best private messaging App? You found it. No third party - not even SafeSwiss® server operators, can decrypt the content of your encrypted messages or intercept your calls. The App creates an encrypted private network between the sender and recipient; for free secret text chat/SMS, private encrypted voice calling and video messages, secure file and data transfers. All data and metadata is encrypted on the device and is not stored on any servers anywhere. When making or receiving a digital communication, the SafeSwiss® encryption engine authenticates the other party and generates a unique session key, which only lasts for the duration of that communication. The SafeSwiss® Private Messaging App guarantees the security and secrecy of your personal details. The registration process is completely anonymous, fast and simple. You don’t need a SIM card and SafeSwiss® does not require phone number, email address or social media account details. All you need to register is an internet connection such as Wi-Fi. Choose your own unique SafeSwiss®ID when creating your account and keep your identity a secret if you wish. SafeSwiss® Secure Communications AG will not have any of your personal information and all SafeSwiss® primary servers are located deep within secure facilities in Switzerland. Your privacy is also protected by Swiss security infrastructure and strict Swiss privacy laws which provide additional protection guarantees. The SafeSwiss® Private Messaging App enables you to share any media privately, using the most comprehensive set of encrypted sharing media available. 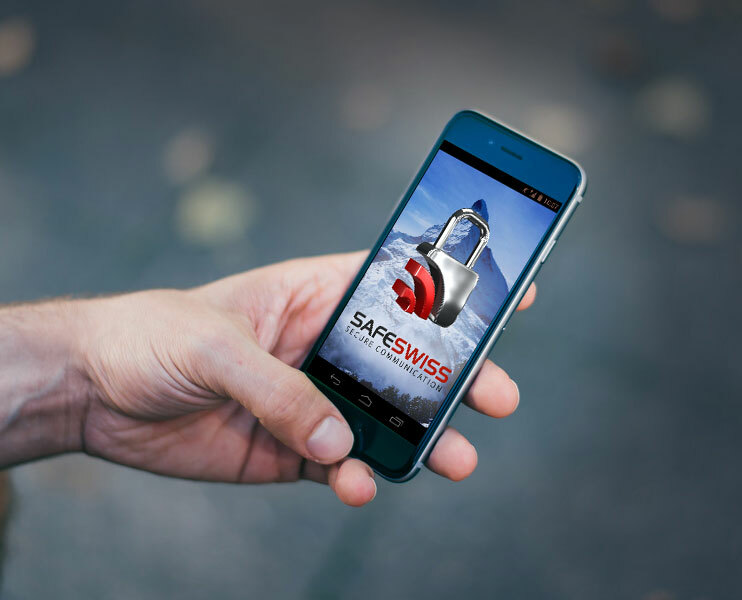 Photos, videos, audio/voice, text chat/SMS and data files are encrypted and can only be read by the recipient on a trusted device, by using the SafeSwiss® App. New Contacts are added by using their unique SafeSwiss®ID, and Private Groups (from one, to an unlimited number of participants) can be created with the full security of knowing all exchanges are encrypted and private. Live as-you-speak voice call encryption to prevent hackers from gathering information on the contact details and identities of participants. Private calls, text chat/SMS and data communications are fully encrypted for each message or session. Create a unique sign-on password to set messages to be destroyed from one second, to one year after being read. No metadata is left on the devices: all metadata content from the recipient’s and sender’s device is shredded and overwritten. End to end, military grade encryption. Your data is protected by unbreakable, elliptical curve cryptology-based algorithms. Protocol EL337 is used - the advanced version of the TextSecure Method. The SafeSwiss® Private Messaging App can be installed, updated or deleted remotely on any Smartphone, tablet or computer with access to the internet, including pre-paid devices or devices without SIM cards. Supports 16 languages: Arabic, Bosnian, Croatian, Chinese (Mandarin), Chinese (Cantonese), English, French, German, Hindi, Italian, Japanese, Portuguese, Ukrainian, Russian, Spanish, Turkish.